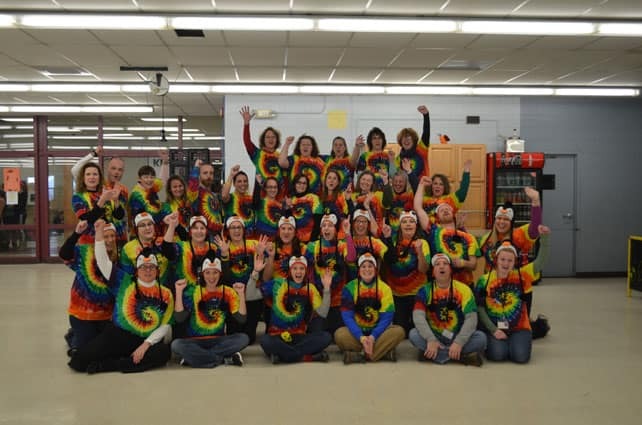 The Rutland Intermediate and Middle School staff entered the Cool School’s Penguin Plunge to honor their friend Keith Page and to support a cause that was near and dear to his heart: the Special Olympics. The 20th annual Penguin Plunge took place Saturday, Feb. 7 at noon on the Burlington waterfront. Brave individuals and teams plunged into the frigid waters of Lake Champlain to raise funds. 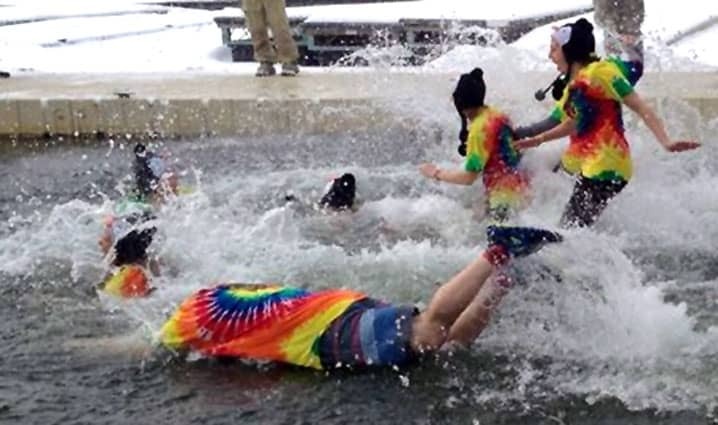 Keith Page had done the Penguin Plunge in the past, so this year co-workers at Rutland Intermediate and Middle School (many of whom used to think he was crazy for jumping in Lake Champlain in the middle of winter) formed a team and took the plunge themselves. It was a fitting tribute to Page, who died suddenly of a heart attack last March. “By no means could we match what he did, but this is a nice way to keep his memory alive,” said Toni Sullivan, who helped organize the plunge. Page was the head coach of Rutland’s Unified Sports, a school-based program for athletes with cognitive disabilities that pairs children with disabilities with a peer for athletic activities. “He wanted every kid to be seen as meaningful and important. He was such a great guy,” Sullivan said, adding that the loss of Keith Page as a teacher and coach has unified both teachers and students at Rutland’s Intermediate and Middle Schools. “Keith did so much for kids when he was with us, and now because of his dedication to children of all abilities, school and community members are continuing his legacy,” she said. Page’s Penguins raised a total of $6,313 for Special Olympics Vermont, the seventh highest of 26 school teams that enter across the state. A group of students from West Rutland Schools also participated, raising $2,071. In total, Vermont schools raised over $126,000 for the Special Olympics. 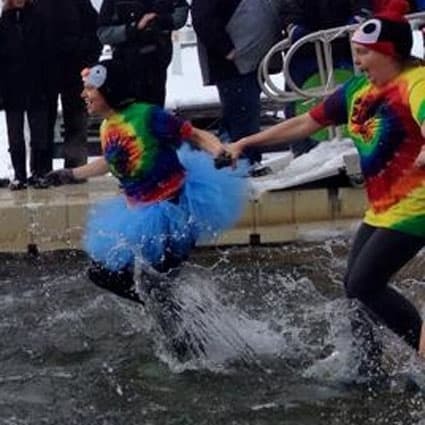 Individuals and teams can enter the annual Penguin Plunge in one of two categories, a Public Plunge and a Cool Schools Plunge. The school groups get to keep 10 percent of the funds they raise for programs at the schools. Fundraising for Page’s Penguins continues online at www.firstgiving.com/team/282045.